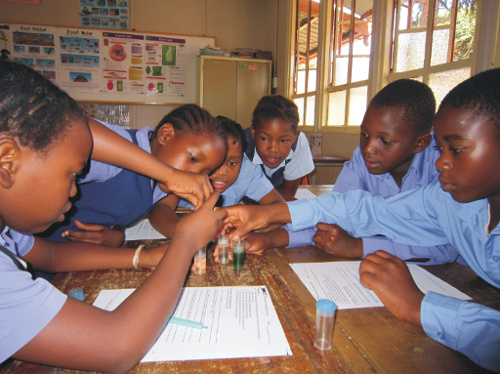 In the Microscience classroom learners become scientists and teachers are facilitators. Microscience tools make the abstract world a reality. Learners learn by doing and they'll never forget. Microscience brings out the best in learners in form of skills and use of mind. 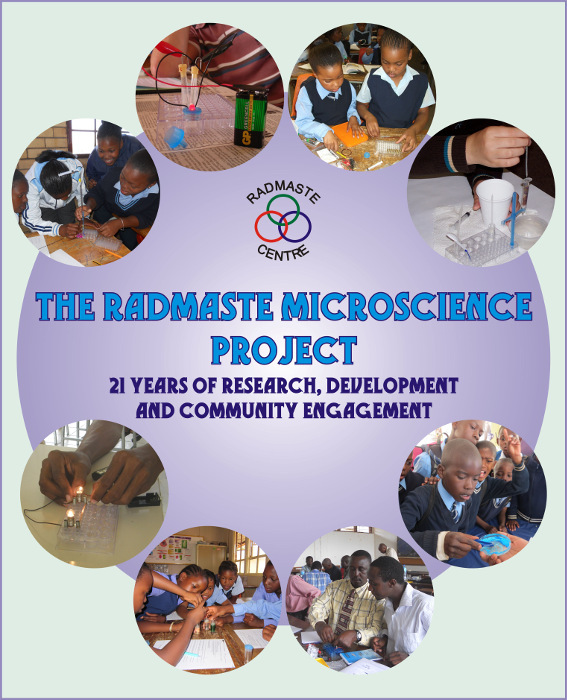 RADMASTE Microscience is the smart, sophisticated system for carrying out hands-on science experiments. 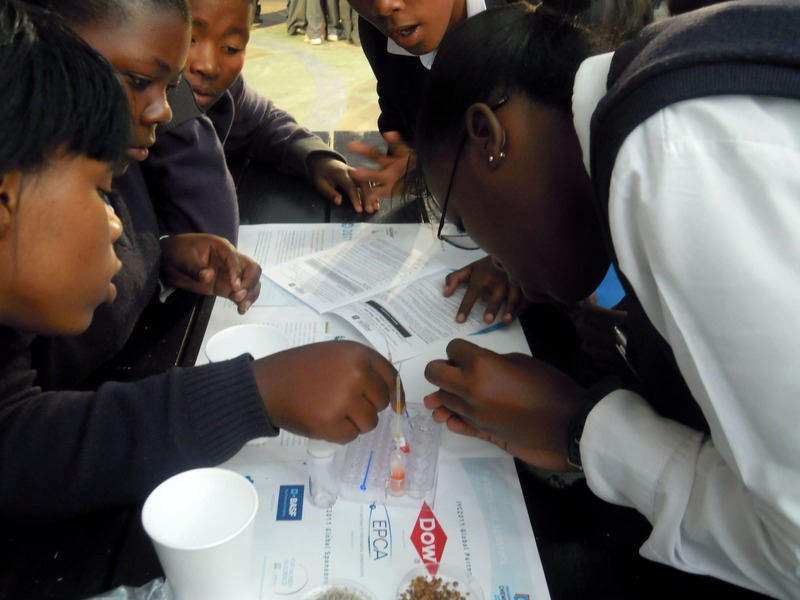 It relies simply on the use of Microscience Kits, worksheets and teacher resources. The Lab in a box! Each Microscience Kit is a portable Science Laboratory in a box. Learners can share kits for group work. With the guidance of worksheets, learners experience hands-on practical activities for themselves in a classroom setting. This gives them excellent insight into and better understanding of science concepts. No pre-lesson preparation of apparatus is required. Teachers manage chemical requirements and other accessory resources, depending on each practical activity. This allows them to become facilitators of practical work whilst their learners actually do the science. 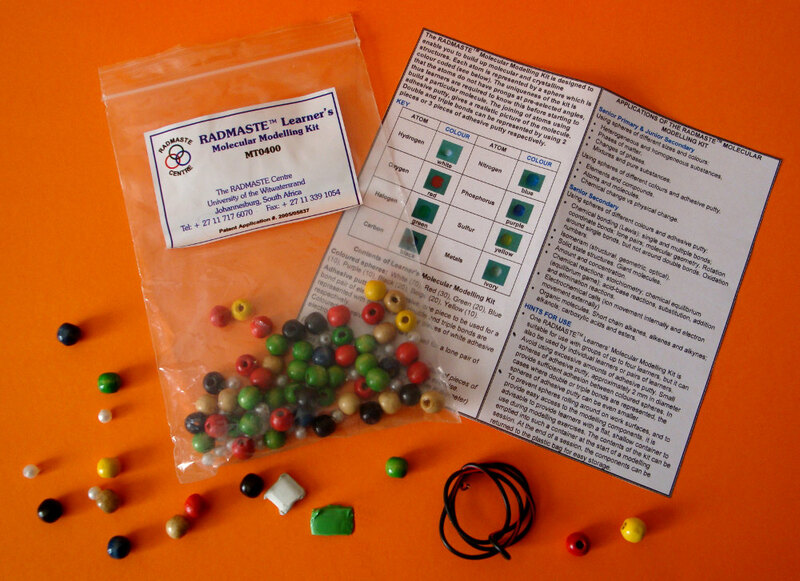 Molecular Modelling Kits assist learners with understanding bonding and demystifying the Particle Model of Matter. These 2D and 3D modelling tools support the practical work carried out with the Microscience Kits. Training is offered both live and through video materials, which reflect RADMASTE's long experience of Inquiry-based Science Education. With such expertise and resources on offer, you can truly rely on RADMASTE to lead you along the path to successful microscale science experimentation and implementation. RADMASTE believes in continuous and continuing science education. 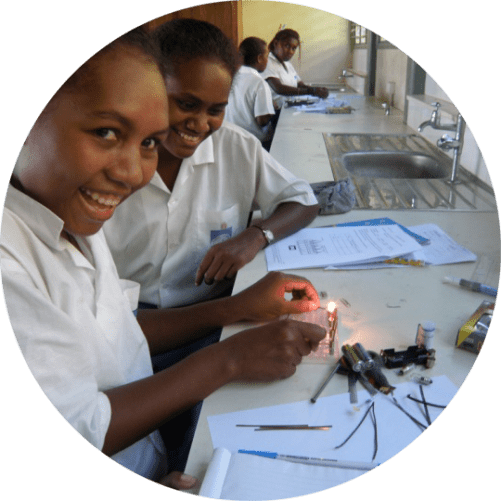 Our teaching and learning materials do not only enhance science in the classroom context, but extend science comprehension and skills into alternative educational settings such as home schools, science clubs and teacher self-development. Hover over the images below to learn more about our target audiences. 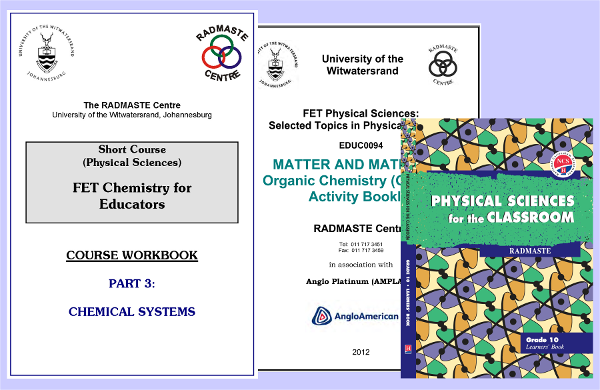 RADMASTE Microscience resources cater for all kinds of learners and learning institutions. 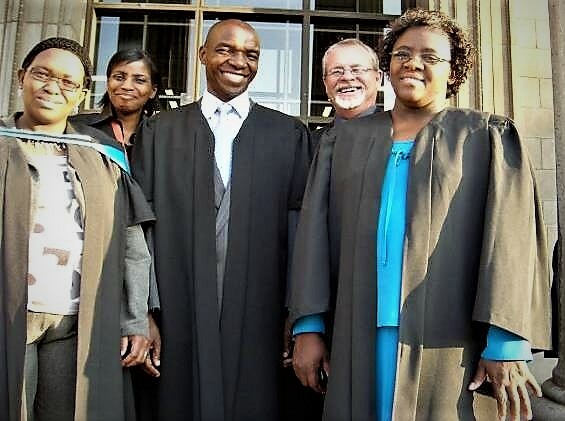 This includes government schools and private schools at all levels, as well as tertiary institutions. 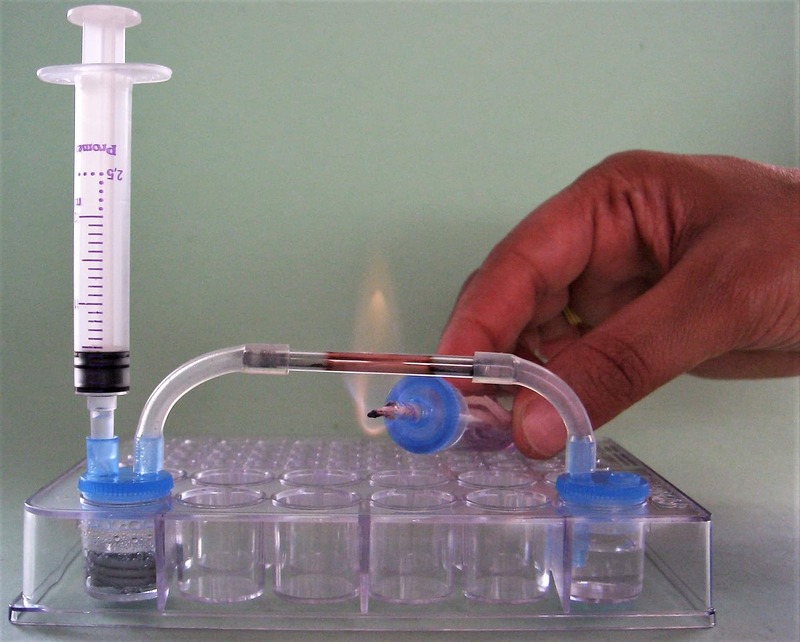 It does not matter where a school is located, RADMASTE Microscience resources do not require a laboratory and the worksheets can be adapted to any national curricula. RADMASTE has always had a special interest in teachers and teacher educators. The vast array of science curriculum materials we have prepared means that teachers and teacher-trainers can enhance their science knowledge, understanding and skills during both pre-service and in-service education. The affordability, portability and safety of the RADMASTE Microscience Kits extends their versatility outside the ordinary classroom. Without the need for a laboratory, Home Schoolers can easily achieve practical science education at home. 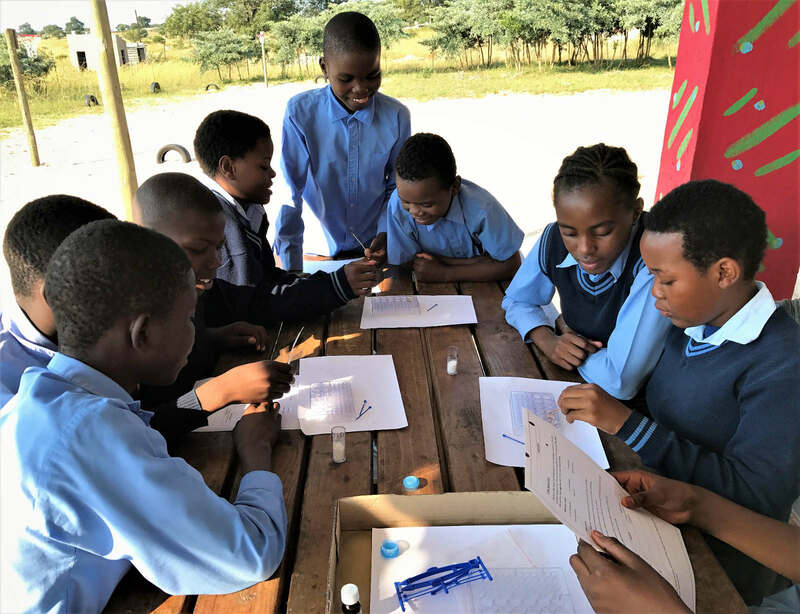 Learners at Science Clubs and on Field Trips benefit enormously from carrying out low-cost microscience activities as part of their extra-curricular learning. Microscale experimentation has many advantages as compared to traditional scale work. The equipment is more convenient and quicker to work with. Learners can easily access their equipment during a lesson and do the science they are learning about. Small quantities of chemicals safer for learners less waste less impact on the environment. The equipment is in a kit so it is always ready for the experiment you want to conduct. Easy management, easy transport, easy security. 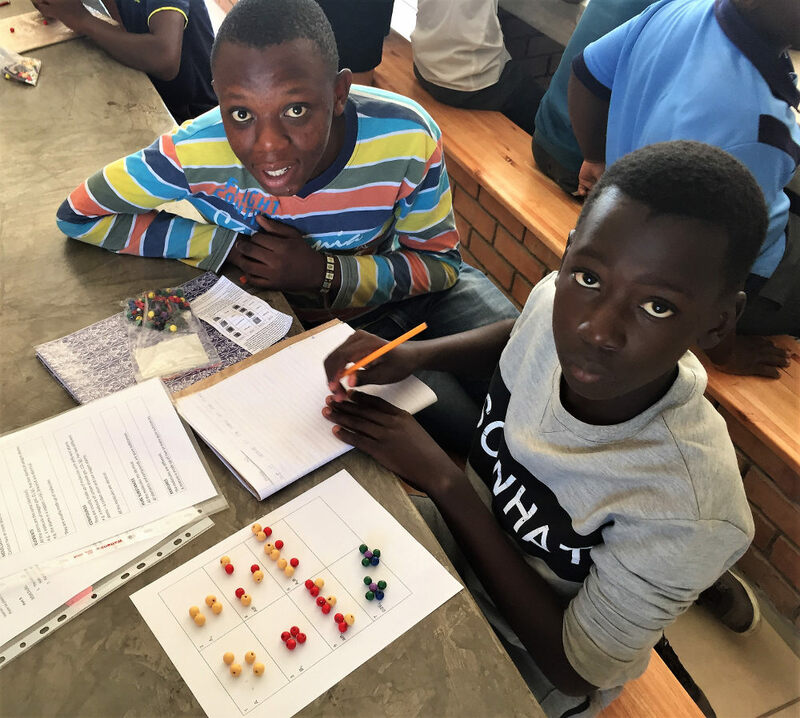 A wide range of practical activities can be done without a traditional laboratory and/or lab desks, without mains electricity or even a mains water supply. Worksheets are supported by teacher guides with ‘model answers’ or relevant information. There are also Teacher Resource Kits with spares and auxiliary resources. 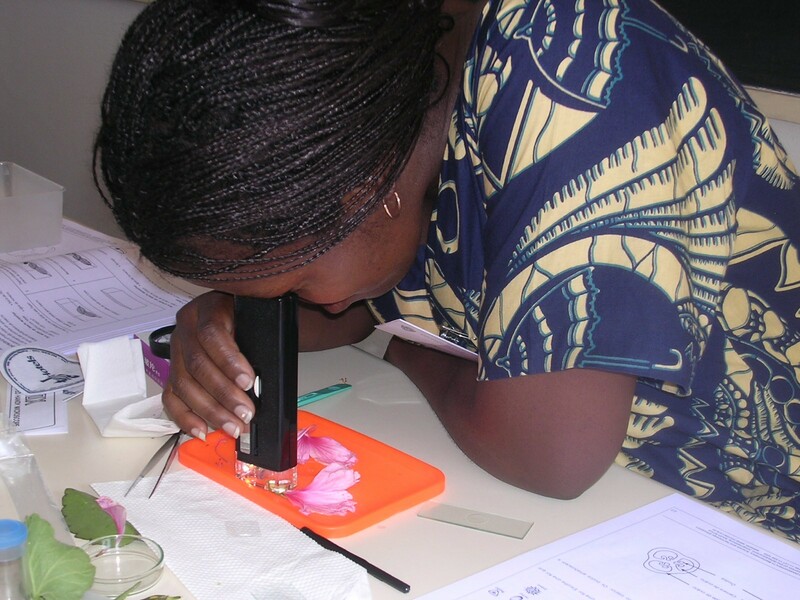 Microscience is low-cost, allowing for learners to work individually to complete experiments. All these features make hands-on science experimentation accessible to all, whatever their situation. 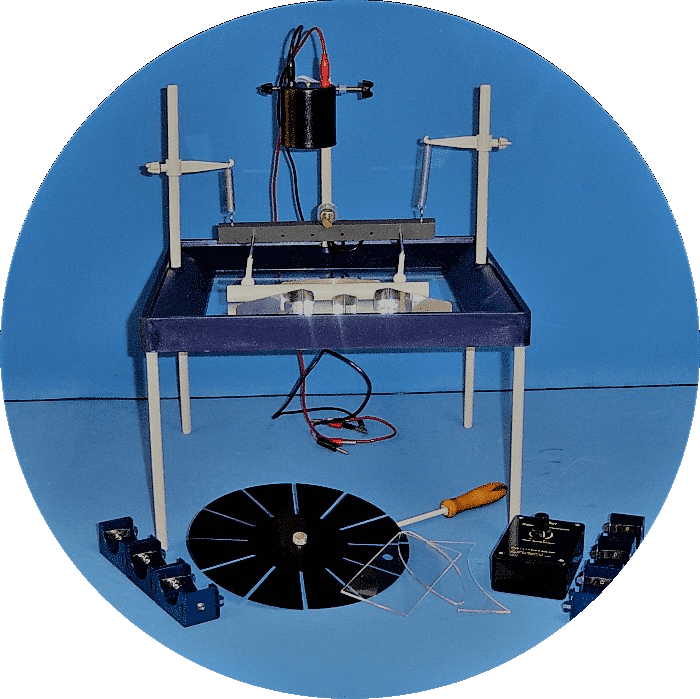 RADMASTE has developed a broad range of versatile microscience equipment and accessories, making it easier for teachers to encourage hungry minds into becoming science geniuses. 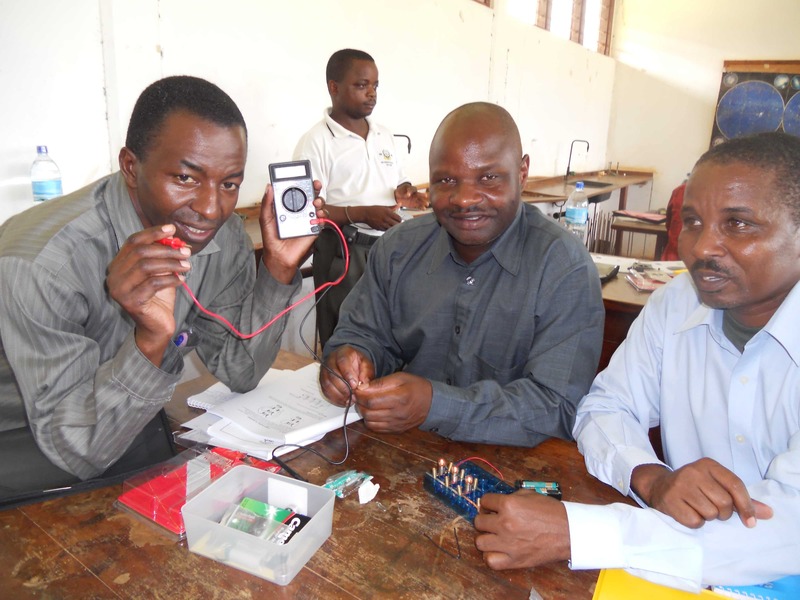 The equipment covers both primary and secondary school and entry-level courses at tertiary institutions. 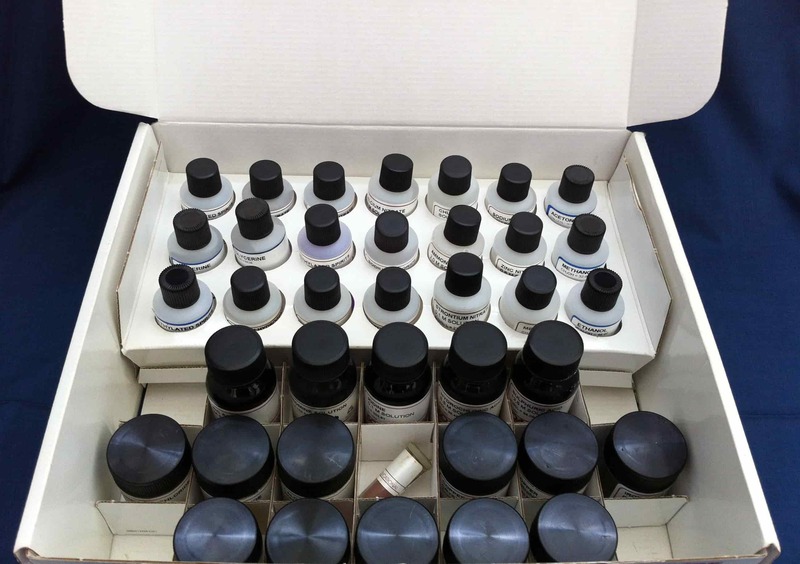 RADMASTE Microscience Kits cover much of biology/life sciences, chemistry and physics. 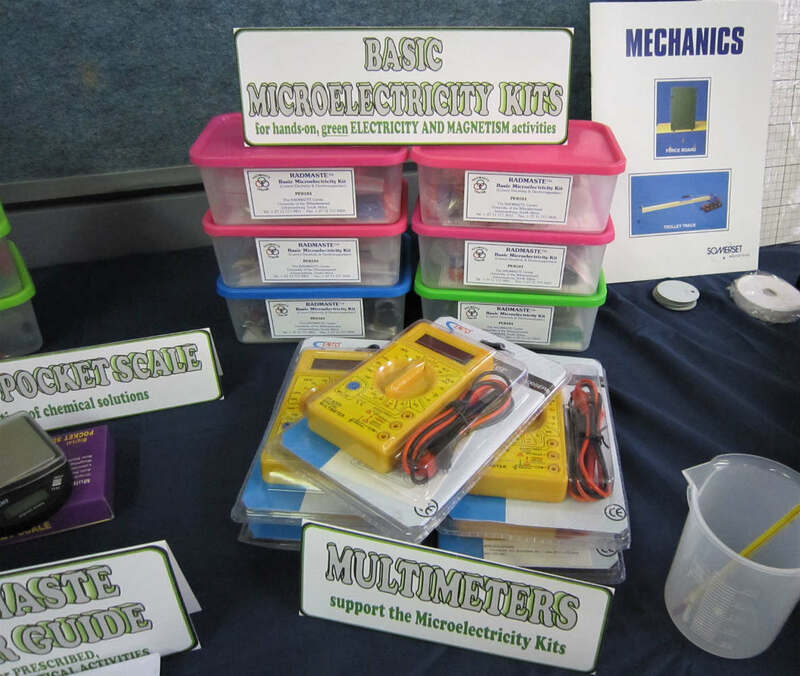 For science topics that do not lend themselves to microscale work, teacher demonstration kits are supplied. 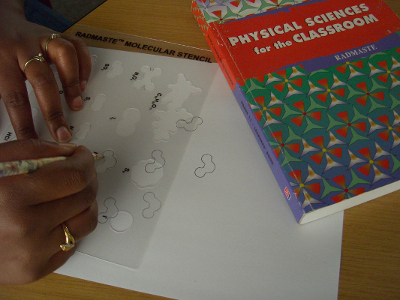 Molecular modelling is catered for at low-cost too, through molecular stencils and modelling components. Chemicals are also supplied in the small quantities required by microscale work, both in traditional form and in prepared solutions. In the middle of a class I tell my learners to take out their RADMASTE microscience equipment and do the science I am teaching them. The setup is fast, it is safe because the quantities are so low. This also means less waste of harmful chemicals to throw away. And learners are able to DO the science! 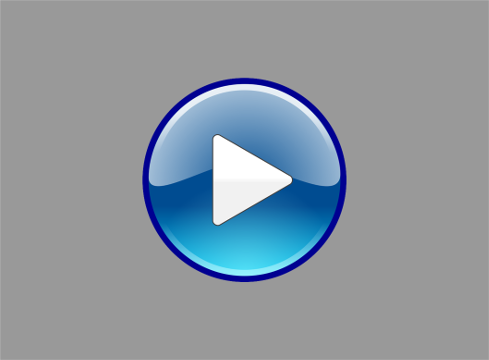 If you cannot play this video, please upgrade your browser! Actually doing practical experiments makes it much easier for us as students to interpret the work we are doing. Instead of just seeing it on paper, we actually physically handle the apparatus and do the experiments. 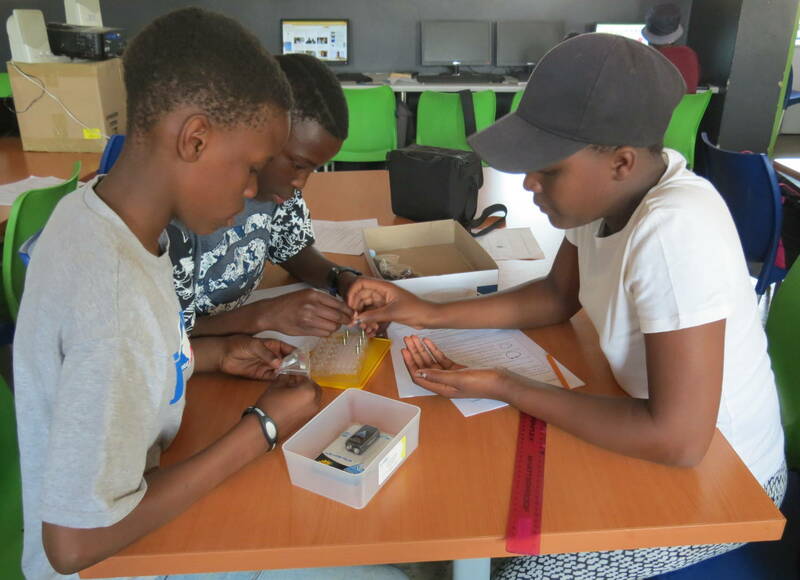 For microscale to work, students must hone their dexterity and observations skills which makes them concentrate more on the practical and therefore have a more powerful learning experience. Go to the Ordering Page on this site and read the guidelines for ordering. Download the order forms you need and complete them. Send the forms back via email or fax, make payment and wait for delivery. Science experiments always need to fit within a curriculum. RADMASTE has therefore always maintained an active interest in science curriculum development. This has resulted in courses and course books covering many aspects of science curricula and designed for school teachers or teacher trainers, to help them expand their own knowledge base and understanding of science concepts. 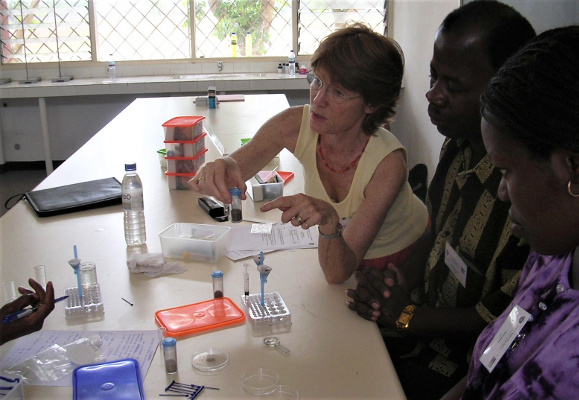 Microscience experiments are frequently an integral part of these, allowing teachers to become familiar with the very equipment and activities they can use in their own classroom teaching. WHY SHOULD YOU TRUST RADMASTE MICROSCIENCE? BECAUSE WE HAVE BEEN DEVELOPING BETTER TEACHING & LEARNING METHODS in SCIENCE EDUCATION FOR over 20 YEARS! Experimental activities are an integral part of science and this is why science education includes these. 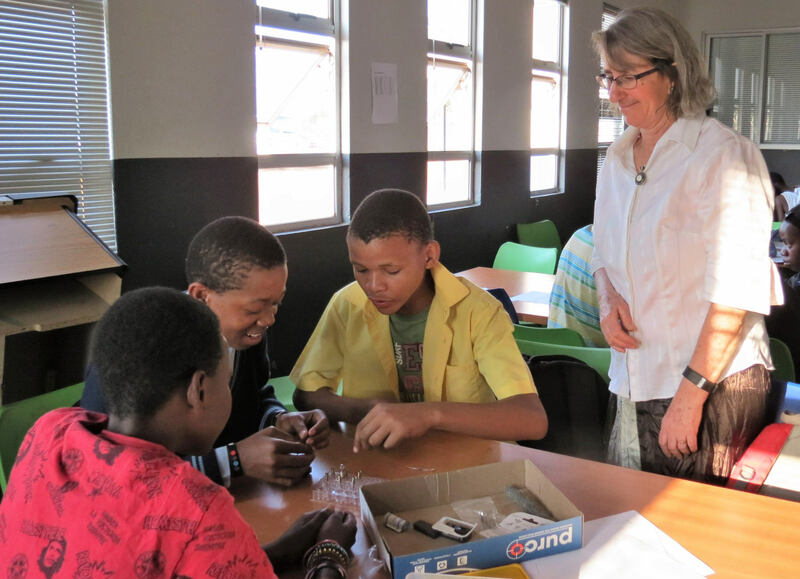 RADMASTE realised the great advantages of doing experiments on small-scale and has promoted the microscale approach in science education for more than 20 years. During that time we have developed numerous resources that enhance teaching and learning methods for Integrated Sciences (primary school science), Physical Sciences, Life Sciences and Technology. Contact us now for a friendly consultation. © RADMASTE Microscience. | All rights reserved.